I'm a specialist in Brazilian Guitar and have played and used American Folk Styles to teach finger picking for many years. This includes Travis Picking, Blues and arrangement of all sorts of melodies for guitar. One of the first world musics I played was Irish music and I have a nice repertoire of these melodies to help the student learn how to play a linear melody. Reading is not necessary but I'm expert at getting people to read by using simple familiar music. Billy delivers an exceptional lesson experience and ranks in the top 15% of our teachers nationwide. 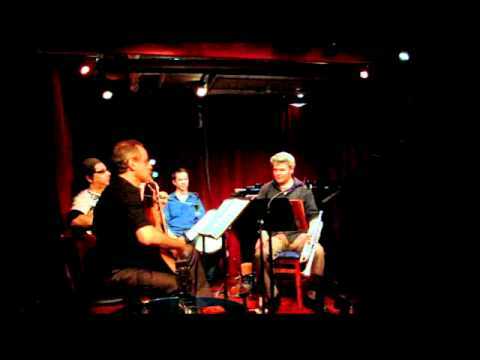 Billy N. has played Jazz, Brazilian and Classical music in the NYC area for the last 20 years. He has actively taught both finger-style and pick guitar for the last 20 years. He was on staff at the American Institute of Guitar for 11 years. His book on Brazilian Guitar is published by Alfred Music and currently available. He now offers online lessons via Skype as well as in his private studio. Playing credits include many museums and clubs in the NY area including Museum of Modern Art Museum of the City of NY and an extended stay at the Guggenheim museum in the Summer of 2000. Also he has been in the Brooklyn Museum concert series with his group Afinidades Bronx Libraries Brooklyn College and the Jewish Museum in trio and duo setting with great Percussionist Vanderlei Pereira. He has performed in Brazil as well most recently in the South of Brazil, receiving TV and radio coverage. He has also done workshops and performed at the Conservatory of the state of Pernambuco. In August 2004 he performed weekly at Rio Scenarium in Rio de Janeiro. His Band Brooklyn Brazil Bop has played at Joe's Pub as well as Central Park Festival. 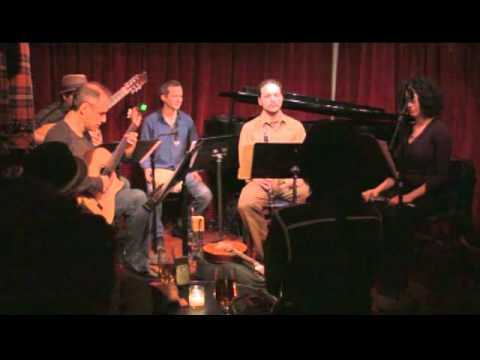 His band the Brazilian Acoustic ensemble performs periodically at 'Barbes' an important performance space in Brooklyn NY. In 2007 he gave a successful jazz workshop and concert in the city of Florianopolis Brazil. Billy has been awarded 3 prestigious composer's residencies 2006 - Yaddo and 2007 - The MacDowell Colony. He was featured on the PBS news hour during his residence at MacDowell. In 2008 he was awarded another MacDowell residency and followed this with a 3 hour appearance presenting his compositions live on WKCR Jazz Radio and another live radio appearance with band in 2010. Billy regularly plays in many venues around NY in Jazz trio settings as well as with Brazilian vocalists and instrumentalists. Most Recently his groups have been performing at the famed Cornelia Street Cafe in New York City. He also specializes in solo guitar and can double on percussion (Pandeiro) and Cavaquinho. Billy has completed two CD's of his original music and an EP of his original Choro music. He has a BFA in Jazz Performance from CCNY. Through outstanding collaborations like the Brazilian Acoustic Ensemble, guitarist and composer Billy N has emerged as a leading exponent of the music of Brazil. Exploring far beyond the well-trodden bossa nova path. Billy unearths the full range of styles the country offers, including choro, baiào, valsa and samba, and gives American audiences a rich panoramic glimpse into Brazilian art, highlighting its parallels with progressive jazz. Reviews of my Book on Alfred Brazil: Guitar Atlas, I love this series and this is the best of the six titles I have. Billy really knows his stuff; the analysis of time at the beginning is superb: something I now use in my teaching. This is definitely for intermediate and higher guitarists, but the pieces are worth the effort to get right, and the accompanying CD shows you what you are aiming for. This is as good as my other Brazilian guitar book (by Nelson Faria) and much more compact and easier to follow. Highly recommended! This book is essential homework for students of Brazilian guitar. It is one of the best resources out there, along with Nelson Faria's "The Brazilian Guitar Book." The original etudes are not only instructional, but are nice pieces in their own right. An excellent value. I've taught all levels over 20 years both in NYC and Brazil. I work with the material that the student wants and also through recordings and charts introduce much music that the student might have been unfamiliar with. My lessons are catered to the individual. There is no obstacle anyone has that is too great to work through. My approach to rhythmic training has helped many. I have simple way of breaking down the guitar fingerboard which can used as a guide to learn harmony. I'll get you into the horizontal aspects of guitar, traveling across the neck, making music across one string as well, mastering the guitar in a small fret range - " vertical position playing". I have guitar for the student, either electric or nylon. Cavaquinho students bring their instrument. First time students must bring their instrument so I can see what they are playing on. I have been taking lessons with Billy since January 2015. I am a total beginner and I really think I have made the best choice ever to pick him as my teacher. Billy is an experienced guitar teacher and a professional player that knows great techniques for beginners. He has been teaching me basics of guitar in a smart way, and at each lesson I feel I learn something new and at the same time I can clearly see how much progress I have made since our first lesson. He has also been teaching me how to read music and tabs which proofed to be extremely useful every time I want to learn a new song by myself. Highly recommended! I cannot recommend Billy enough. I studied jazz improvisation with Billy for three years, and later returned to study Brazilian guitar and Piedmont-style finger picking with him. I had been playing for more than twenty years when I started studying with him and he not only helped me improve my playing technically and creatively (on electric and nylon stringed guitars) but also expanded my knowledge of theory and helped me develop new approaches to composing and arranging. I am still working with the material he gave me and take lessons from him whenever my schedule allows. I took Brazilian guitar lessons from Billy for several years. His method focuses on absorbing the many rhythms of Brazil and translating them from percussion instruments to the guitar. Much of his effort is devoted on achieving the elusive Brazilian swing, which non Brazilians need to learn. Billy is excellent in breaking down the rhythms and explaining them. He even has a book out on his method. He covers various Brazilian genres: choro, bossa nova, samba, baiao and more. Billy also is an accomplished jazz, classical and flamenco guitarist with a thorough understanding of harmony and improvisation. He is very patient and has years of teaching and performance experience. You will be lucky to study with him! I took guitar lessons from Billy for over 10 years. He is an outstanding teacher who is challenging but at the same time very patient. We managed to go through a very extensive repertoire of pieces ranging from the many Brazilian styles to Latin music and Flamenco. Not only is he a skilled and talented performer but his love and enthusiasm for teaching coupled with his extensive knowledge makes him the perfect choice for an instructor. For many years I took lessons at home with Billy but due to my hectic schedule we switched to Skype lessons. I was pleasantly surprised to find out the quality of the lessons was not affected in any way. I have been studying Brazilian guitar with Billy for several years. I like his fun, intelligent and creative style of teaching. He breaks the rhythms down and teaches you the relationship between left hand (chord hand) and right-hand (fingers-thumbs) which allows you to play Bossa Nova, Samba, Afoxe songs effortlessly. He is an awesome teacher! when I found Billy he, opened me up to a whole world of music. From Billy I learned to comp in a variety of styles including Choro, Samba, Baião and Bossa Nova. We played and arranged together chord-melodies, and I became fluent in reading complex rhythms. I also before this had no classical guitar technique, and Billy gave me a solid foundation upon which to build. Billy is great--very knowledgeable, interested in teaching you how to teach to and play yourself rather than doing one individual song per lesson, as so many teachers do. He's also easy going and incredibly helpful. Excellent teacher, conveniently located for Brooklyn, Manhattan and Queens. I started studying with Billy three years ago when I knew nothing but cowboy chords and he has taught me all sorts of aspects of the guitar: comping, Brazilian rhythms, chord melodies, voicing such as drop-2 and others, and left hand and right hand fingerings. He is a respected composer and player in the Brazilian music community but never stops learning himself, from master guitarists in Brazil and New York. He is also a pretty friendly and direct person who tries very hard to figure out what the student needs at any given point. He doesn't baby you, but he will encourage when you are going in the right direction and will find a way to motivate you and pick you up when you are down. Can't type anymore, gotta go practice. I've been Billy's student for the last 2 years, and I can say with confidence he is a great teacher. My progression and evolution in the instrument are obvious, and he is very patient when it gets a little harder for me to grasp some concept or other. He knows and understand Brazilian music really well and is able to pass it on to you. A clear evidence to his Brazilian music knowledge is the fact that he is teaching me, a Brazilian, how to play Brazilian music, and he succeeds doing that. I had been searching for a Brazilian guitar instructor for years when I came across his book and website. Finally an instructor who knows both the repertoire and diverse styles of Brazilian music from choro to afoxe, tango brasileiro, samba, bossa nova, and baiao AND how to teach the material to students that have not grown up hearing the Brazilian sound. I was apprehensive about online instruction at first but Billy is extremely comfortable teaching in this medium and gives great prompts and suggestions. Billy is also well-organized and always knows what pieces I'm working on and what we've done. He has an extensive library of arrangements for almost any tune in the Brazilian guitar repertoire you would want to learn (and he has quickly produce new transcriptions as well). Billy is both a scholar and a player of Brazilian music and is great at breaking down pieces from performance, theoretical, and historical perspectives. Best guitar teacher I've had in 20 years of playing.